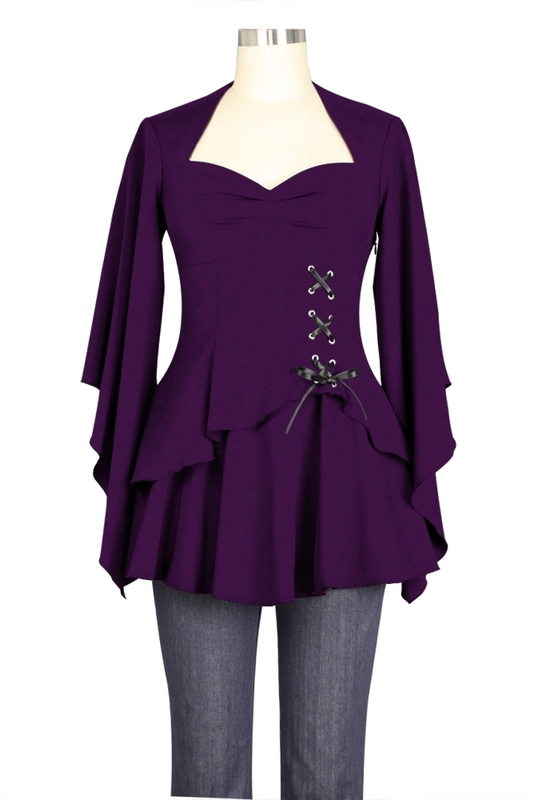 Sweetheart neckline, angled loose sleeves, functioning corset tie that raises the top layer of the top upwards. It can be adjusted as high or low. Side zip. Standard size approx. length:30 inches; Plus size approx. length:33 inches.